Siobhan was our photographer last July when we got married in Borgo Di Tragliata in Italy. 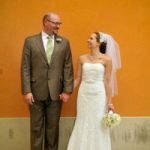 Our wedding was small and intimate and I wanted a photographer that would catch the essence of our day. 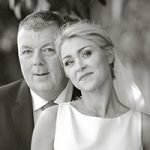 I was very very nervous on the morning of the wedding but once Siobhan arrived her calming presence helped me to relax and enjoy the preparations. She was so easy to be around and was very undemanding but still got all the important shots. There were times throughout the day and night that I forgot she was there because she just became part of the group snapping away. We had a no phone rule during the ceremony and it was the best decision we made. Our ceremony photos from Siobhan are so beautiful and there are no phones in the guests’ hands at any stage, everyone was totally focused on the ceremony and Siobhan was left to do her work without distractions. We also opted for her to stay late into the night, another great decision as the photos from later in the night are hilarious! We’d highly recommend Siobhan, she’s so professional and we’re thrilled with our pictures. Borgo Di Tragliata, Rome. July 2018. 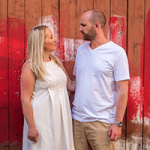 From the moment I contacted Siobhan Hegarty Photography, the experience was extremely positive. All the information I required was provided so promptly, the service was impeccable. The photographs are excellent the value for money is amazing. Siobhan was so enjoyable and made the whole experience so relaxing. I would recommend this company 100% and wish them every success in the future. I would highly recommend Siobhan as your wedding photographer. She is excellent at taking amazing pictures and knew exactly where to go to Rome to get the best shots. She is very kind and was so helpful on the morning of my wedding. Siobhan and Conor were very fast getting my photos to me and the wedding album that we just received is stunning. Thanks, Siobhan and Conor. Siobhan was a dream, super professional and talented. We love every picture she took. Even when at the end of the photoshoot we were really tired, it was totally worth it. Thank you for being so patient with us. We love your work. We had the most wonderful, special wedding day. 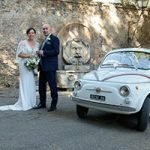 An intimate wedding in St.Isidores, a tour of Rome in an open top Vintage Fiat 500 and finished off with a rooftop terrace wedding dinner in Savoy Hotel. 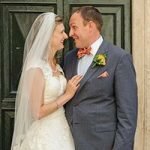 Our wonderful wedding in Rome! Siobhan was absolutely fantastic! Turning up a reassuring ten minutes early, effortlessly taking shots, conversations about locals…in Donegal! Helping button up the bride! It was a pleasure. Great communication before the wedding. Thank you, Siobhan and Conor for all your help. I would have no hesitation in recommending you for Wedding photography. Aoife and Peter, Irish and Australian. 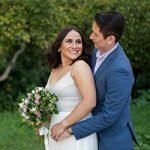 Thank you for capturing our day and giving us such beautiful photos! Aoife Maughan. A complete pleasure to work with from start to finish. We really loved the relaxed way Siobhan has of doing her work, so much so that we forgot she was there at times! We cant wait to see our finished album. What a lovely, patient lady Siobhan is. She worked around us so well on our wedding day, and what a scorching day it was. My husband and I are so Thrilled to have Siobhan do our photography, they are fantastic she is truly so talented. We would highly recommend and her prices are so good for the quality of her work. So excellent, and Conor too for all the emails keeping everything on track. 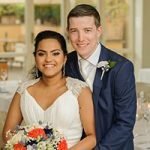 The most beautiful photos of our wedding we could have asked for!! Siobhan had them back to us within a month of the wedding day and they are all just stunning !! She has done an incredible job and would recommend her to anyone!! THANK YOU!! Borgo Di Tragliata, Rome, August 2018. Siobhan was an absolute delight and made our day so incredibly special. The experience was just wonderful and we gave Siobhan free reigns to take us wherever she wanted – and the pictures turned out SO beautiful! She was very considerate with us (walking on cobblestone in heels and all that) and there was absolutely no rush. She knew what would look good and she was a 100% spot on! Thank you so much for a wonderful experience. Hugs from the Norwegian Nerds. Rome, Sala Rossa Campidoglio. August 2018. Siobh?n?s casual and friendly manner was so welcome on the morning of the wedding. She was encouraging and assured us all that we were looking great even while we were blown asunder! She captured our wedding day perfectly. Conor created an album that we love and will cherish forever! Borgo di Tragliata Rome, July 2018. Dealing with Conor and Siobh?n has been such a pleasure. We had our wedding in Casale Doria Pamphilj in June. On the day, Siobh?n came and was such a pleasure to work with. She moved around in the background capturing all the special moments of us getting ready before the ceremony. She is great at giving direction for the photos so they don’t turn out too “posey?. When we received our photos, it was such an amazing time both reliving the day and realising the special moments Siobh?n had managed to capture without us even noticing! Thank you both so much for everything and for doing such an amazing job of capturing one of the happiest days of our lives. Rona and Lucian. Casale Doria Pamphilj Rome, June 2018. Donovan and I were so grateful to have found Siobhan and have her capture the special moments of our big day. She offered us suggestions and guidance and put us at ease on the day. 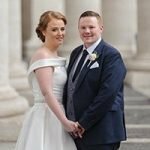 The final photos that we received were better than we could have hoped for and I would strongly recommend Siobhan if you are looking for a professional photographer with a creative flair. Thank you so much, Siobhan, for bringing our memories of the day to life. Meghan & Jarryd Aubert, Scotland. 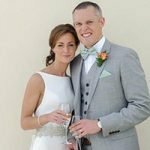 Siobhan was professional, friendly and a delight to work with, she made us feel at ease from the get-go and captured our very special day perfectly. We just love our photos! Thank you, Siobhan and Conor for everything. June 2018, Casa Baldelli, Umbertide Umbria. Siobhan was so accommodating, friendly and easy to work with. She really captured our day. She made everyone feel relaxed and at ease throughout the day. It was a pleasure to have her part of our special day. I would recommend her unreservedly. Bronagh and Gearad, Northern Ireland. We cannot thank Siobhan enough for the wonderful photos of our wedding day. She is really the easiest person to work with; knowledgeable, professional and knew exactly what would work. 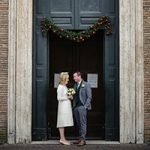 It was actually seeing Siobhan’s photographs on Facebook a few years ago that put the idea of a Rome wedding in our heads. She captured the exact atmosphere of our day and we will cherish the photos forever. 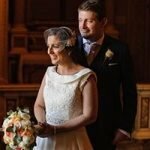 We had Siobhan as our photographer for our wedding on the 5th of Feb in Rome. From the initial email, Siobhan & Conor were so helpful in answering any of our queries and were so quick to respond. 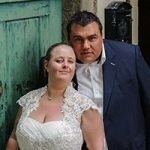 Siobhan was fantastic on the day of the wedding, she is very friendly and puts you at ease, she has such an eye for detail and I am amazed looking at the photos she captured. 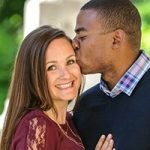 Being an interracial couple, I was worried about how our skin tones would reflect in the photos, I had communicated my concern to Siobhan before the day of the wedding. All my worries were for nothing, we both look our absolute best in the photos. We both thoroughly enjoyed our photo shoot session with Siobhan. We got access to our online photo gallery within 2 weeks of the wedding which is such a quick turnaround. Siobhan’s photography packages are such good value for money as well. We went for the 5hr package. Thank you, Siobhan, for giving us beautiful photos which we will cherish for the rest of our lives. 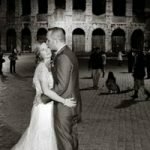 We are so happy that we found Siobhan, and chose to use her expertise for our wedding in Rome. The communication before the wedding was good, quick and easy. At the wedding day, she arrived very punctual and immediately started doing her magic as both groom and bride were doing the last preparations before heading to the Norwegian embassy for the ceremony. Siobhan had good ideas and suggestions to where we could take photos. We wanted pictures with the ?Italian feeling?, and with her expertise, we?ve got many lovely photos from Trastevere. Our wedding guests had only nice things to say about Siobhan, and so do we. Her natural style, good mood, great eye for motives. We are very pleased with Siobhan’s work at our wedding. Rome, Norwegian Embassy, October 2017. Siobhan, I can’t thank you enough for the photos of our wedding day! You captured some beautiful moments and you were an absolute pleasure to work with. Thanks again! 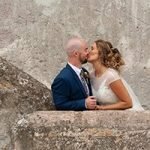 Siobhan took our wedding pictures in Borgo Di Tragliata last month and to say we are beyond pleased is an understatement. Siobhan was so lovely and so professional and nothing was a problem. 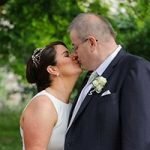 Our wedding pics and amazing, cannot stop looking at them. Thank you so much for being part of our day. Ruth & Vivian. Borgo di Tragliata Rome, October 2017. I cannot thank Siobhan enough! From the very first contact, Siobhan was so helpful with all my questions not only on the photography side but also helped on my many questions about having a wedding in Rome. As I did not have a wedding planner and had never been to Rome, I couldn?t have done it without her advise! On the day of the wedding, Siobhan was professional but so friendly and made everyone feel at ease. Siobhan brought us to beautiful areas to have our photos taken after the ceremony so did not even have to think or stress about that beforehand. Just received our photos and cannot express how happy we are with them, they are beautiful and captured the day perfectly. Thank you so much, Siobhan, I can not recommend Siobhan enough, she is amazing! Ivor & I are delighted we had Siobhan to capture our special day for us in Rome. From when Siobhan arrived she put us both at ease with her professional attitude and easy-going manner. We would highly recommend Siobhan to anyone who is looking for a professional photographer. Her location ideas and an eye for good lighting are what we expected from a professional like Siobhan. We are absolutely delighted with the photos and are looking forward to sharing them with our family and friends. Thank you so much for doing a wonderful job and helping our day flow so perfectly. John and Jean White portrait shoot, Northern Ireland. Our children and grandchildren joined us for a wonderful week in Tuscany to celebrate our 70th birthdays. Coming from Northern Ireland we were pleased to have a photographer from Donegal to record the event. Siobhan was very patient with our motley crew trying many different combinations and settings for the photos. They have turned out really well and give us a lovely record of our family and our children’s families at one point in time. Many thanks for your patience and expertise. Heather and Ronan, UK via Dubai. Siobhan was very good on the day making us feel comfortable and taking some fantastic pictures. I particularly like her use of light, the additional photos of the details of the church and the area where the hotel which was unexpected but helps us remember the day in greater detail. Thank you so much! Lyndall and Patrick, Hobart, Tasmania. 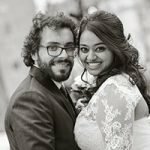 Organising a Wedding from across the world was both a daunting and exciting experience. Siobhan, even in her initial emails, put our minds at ease. This lady is amazing, fully professional, friendly, accommodating and all with a slight Irish flair. She made us immediately comfortable with her and her relaxed, yet ultra professional approach to her work made the whole experience very enjoyable. We love our photographs they are stunning and this is all due to Siobhan’s experience and knowledge of Italy and all it has to offer. We love that Siobhan was somehow able to make it seem, in most of our pictures, as if we are alone in one of the most visited and busy cities in the world. We would absolutely recommend Siobhan to anyone thinking of getting married in this amazing part of the world. Thank you so much, Siobhan, for making the memories of our special day so beautiful. Shona and Jimmy, London, UK. Siobhan is an amazing photographer. My husband and I are a little camera shy but Siobhan put us right at ease and we thoroughly enjoyed it. Siobhan captured all the special moments beautifully and we are very pleased with our collection of photos that we will treasure for the rest of our lives. Thanks so much! Shona and Jimmy! April 2017, Borgo di Tragliata, Rome. Siobhan is very accommodating, will do anything that is asked. Very professional, nothing is a problem to her. Makes you at ease. 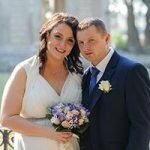 We were extremely happy with our wedding day photography and even more delighted with the photographs also. Celine and Thomas, Dublin, Ireland. I really loved my photographs taken by Siobhan. She got some beautiful shots and was really nice and pleasant on the day and lovely to be around. The package was excellent value for money. The photos are stunning and will take the pride of place around my home! Sin?ad and Keith, Cork, Ireland. Thank you so much for all your work. Siobhan is so easy going and made us feel really special. 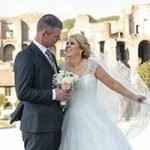 We had rented a VW camper bus out to tour around Rome & Siobhan came with us on the tour to capture our special day. We felt like movie stars! Since it was just the two of us, getting great photos was so important. We are thrilled with her photos. Thanks you so much. Siobhan did an incredible job with our photos. 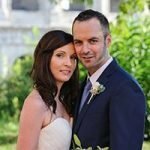 Siobhan was really helpful in suggesting possible locations and we are thrilled with how our wedding pictures turned out. 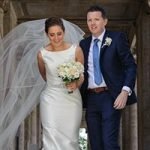 Both Siobhan and Conor were very easy to deal with in the run-up to the wedding and as somebody arranging their wedding from abroad, this was really important to us. On the day, Siobhan was unobtrusive and professional. I would highly recommend Siobhan as a photographer. 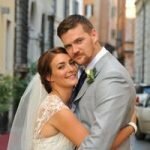 We were fortunate to find such talented photographers for our wedding in Rome. We had coordinated the details with Siobhan via email. Siobhan and Giuliano offered different perspectives to every moment of our day. They have a great eye for detail and excel at candid photography, capturing natural emotions. We have absolutely no complaints of what was delivered to us. Keep shining guys!? Being Aussies getting married in a foreign land Josh and I were quite anxious about many things on our wedding day. Siobhan instantly put our worries at ease with her down to earth, vibrant and professional demeanour. The quality of our photos was more than we had imagined. 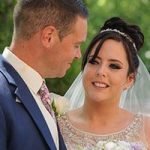 Siobhan utilised all of our surroundings to capture the true essence of our special day and we are both truly grateful for her gift to us through her photos. Thank you, Siobhan, for your enthusiasm, passion and dedication to us on our most special day. 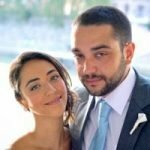 Me (Georgios) with my wife Eleni, decided to do our wedding in Rome, regardless of that we are residents of Greece. We though, that we would have to face many obstacles, including the photography. We had never been before in Rome and we did not know anyone in that city, let alone a photographer. 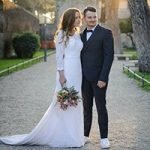 After some “googling” in the web, I found out that a photographer has already worked on a greek wedding in Rome, in the past. That photographer was Siobhan. I contacted with Siobhan via e-mail and the response was immediate. From then on, everything was set up. I knew that I did not had anything to worry about concerning the photography of my wedding. Finally, my last belief came true. Everything was perfect. Siobhan met me at Greek Orthodox church (San Teodoro) in her time, and together we were waiting for the bride. She took many shots before and during the ceremony. Furthermore, after the ceremony we had a small distance walk in Palatino Hill and we had many nice and beautiful shots there, too. Now, we are back in our home, in Greece and we recall the moments of our wedding through our photos, that Siobhan took. We want to truly thank Siobhan and her team for their professionalism, and we want to wish them to keep on with their great work. 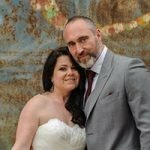 We had the pleasure of having Siobhan be our photographer for our wedding day. She was so sweet and professional. We loved how she captured all the little details and moments throughout the day. All communication with both Siobhan and Conor was professional, clear, and timely, which made all the overseas planning part run very smoothly. The photos all came out great, and we couldn’t be happier with the results. Thank you, Siobhan, for everything! Frascati and Rome, October 2016. We are absolutely thrilled with our wedding photos. Siobhan exceeded all our expectations. She captured special moments and all the little details of the day. She was very professional and we didn’t even see her in the church! We are amazed by all the beautiful photos she captured of the ceremony. The quality of all the pictures was fabulous. 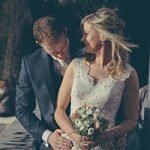 It was an absolute pleasure having her as our wedding photographer and we would most definitely recommend her! Thank you so much. Paul and Angela. From the first email Siobhan (& Conor) was a pleasure to deal with. Tony and I had a lovely relaxed wedding day and would like to thank Siobhan for sharing our day with us & capturing the day so perfectly and bringing back all the fantastic memories. Siddika and Gianluca, UK and Italy. We have shared a wonderful time with Siobhan. She captured beautiful shots . She got us very well- at- ease throughout the photo session. We are delighted with the results. Thank you ! Rome, Tenuta di San Liberato, September 2016. We had a brilliant time with Siobhan. She made us feel very relaxed and we are so excited to see the photographs! Erin and Calum, Northern Ireland. Siobhan did a fantastic job on capturing our special day. I absolutely love my photos. She was so easy to work with and so friendly. I would have no problem recommending her. Siobhan was our brilliant photographer on our big day. She created a relaxed environment, was quick on her feet and chased the most beautiful light for the best photos! We couldn’t be happier with the end result, looking forward to framing them! Siobhan is a photographer of great artistry with unique skills. 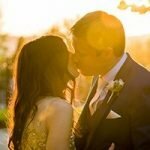 She uses natural light in capturing authentic moments on your wedding day and the result is just stunning. 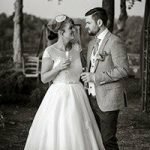 Her work is not about just shooting classical wedding poses but rather creating a wedding story focusing on each and every detail such as your wedding dress, hand bouquet, guests etc. Keeping her professionalism, she is easy to be friends with which makes you feel relaxed and forget about posing at times. Expect to wait for a couple of weeks before receiving the photos, but it?s worth the pain. We are so happy with her work that we regret not having invested in a wedding video! 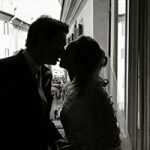 We would highly recommend Siobhan Hegarty as a photographer for your wedding in Italy. From day one Siobhan was quick to reply to emails on any questions we had. We had made out a list of suggested photos that we would like to be taken on the day which Siobhan was very happy to do. The photos were creative, fun and elegant. We couldn’t recommend Siobhan enough! Niamh and Eoghan, Northern Ireand. 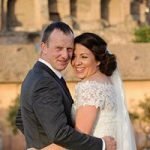 We found Siobhan when looking online for photographers in Rome, and we were delighted to find her. She made us feel so relaxed our whole wedding day and was a total professional. We didn’t even notice her taking photos in the church. Our photos are like something from a magazine and we are absolutely delighted with them. We would highly recommend her for wedding photography. 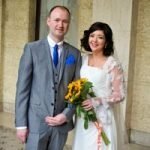 Thank you for capturing our special day – Niamh and Eoghan. We would like to say a massive thank you to Siobhan, a wonderful photographer who made us feel at ease throughout our wedding day. She not only captured the images but also the sense of the day, capturing special moments without any fuss and accommodating any request we had. 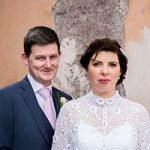 Organising a wedding in Rome from Ireland could have been difficult, yet all correspondence with Siobhan & her team put our minds at ease with the depth of their local knowledge and expert advice. We would highly recommend Siobhan to anyone. From the moment Siobhan arrived, she put us all at ease when it came to photographs. She captured every aspect of the day without being obtrusive in any way. Her sense of light and background made all of our photographs something special and we love them all. 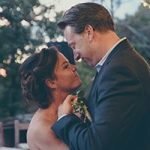 She has taken some really spectacular wedding photographs for us. We are very happy for choosing Siobhan. She made us feel comfortable, she had good ideas, plus taking care of our wishes for locations. She was fun to work with and we had a really good time during the shooting. Both the close-ups and photos from a distance were very good. 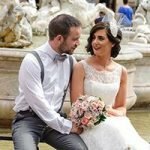 We would recommend Siobhan to other people, both wedding and anything else. June 2016, Norwegian Embassy Rome. A lady, made us feel so relaxed from start to finish, and photos ready in a great time, would recommend anyone to book her up fast. Siobhan was the photographer at our wedding in June and was marvellous. She did a subtle combination of formal and informal shots which when we reviewed them really captured the day perfectly. Great use of light. Lovely photographs; crisp and focused. We will treasure them and absolutely recommend her to anyone wishing to have a superb compilation of any event. Thanks so much, Siobhan. You were great. 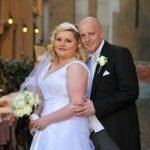 We had Siobhan for our wedding day in Rome. She was very professional and discreet. 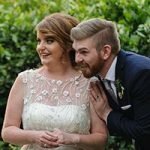 Completely in the background during our ceremony but yet caught some beautiful, memorable photos for us, we have since received our photos and album and loved the whole lot! Would highly recommend Siobhan to anyone to catch your special moments. Siobhan took some absolutely beautiful photos which we will always treasure. It was great having someone who was Irish that we could relate to easily but who also knows Rome so well. She took us around some of the sites in Rome like the Spanish steps to take photos so they are really special. All our guests were really comfortable with her too! She also really helpfully organised a wedding car and driver (Tony) for the day as well as a coach to transport our guests to the reception. We wouldn?t have known where to start without her help. Thanks, Siobhan! 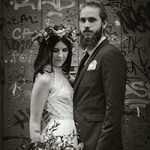 I found Siobhan online and after looking through her previous work knew she would be the perfect photographer for our wedding. Both Siobhan and Conor were very friendly and helpful in the lead up to the event, and once she arrived, Siobhan was so professional. 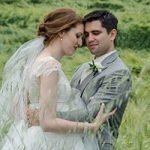 She worked tirelessly to capture the perfect shots, even standing out in the pouring rain to make the most of the light or to get the right angle – and the end results are stunning! We are so pleased with all the photos and can’t wait to show our friends and family. Thank you both for helping to make our wedding magical – you really captured our happiness and the energy of our special day. 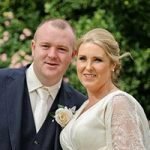 On behalf of myself and my husband Conor, we would just like to say a huge thank you to Siobhan for being so professional to work with. We are absolutely blown away by the quality and amount of beautiful photos we have to choose from. The photos are like something you would find in a magazine and we genuinely can’t decide which ones to put up on the walls. The process of enquiry and then booking Siobhan for the day was so easy and straightforward with efficient and clear correspondence from herself or Conor. On the day, she arrived earlier than expected and just snapped away. At times, you wouldn’t even know she was there and she got photos that were so natural. She didn’t eat into our time just allowed us to decide where we wanted to go and helped us achieve the shots we had in mind. She made it very easy for the guests too. 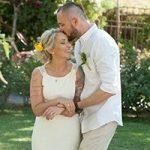 We received a few photos much to our surprise just two days after the wedding and then two weeks later we received a link to our wedding gallery and we spent the morning reliving the wedding day, gobsmacked by the amazing shots she had captured. 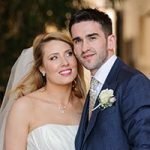 We highly recommend Siobhan for everything from ease of booking and working with on the day, value for money and for capturing exactly what we wanted and more on the day. Forever grateful to Siobhan for her professionalism and expertise. Ciara and David, Northern Ireland. 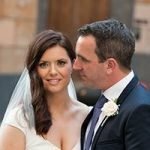 My husband and I would like to pass on our gratitude to simply the best wedding photographer around! Our wedding day was captured beautifully by Siobhan and the entire process was so relaxed. I cannot stop looking at my photographs as they are everything I wanted and more. We would recommend Siobhan to anyone who wants a professional service “6 Star Pictures” Thank you Siobhan, Lots of love, The Kinkead’s. We feel so lucky to have found Siobhan and couldn’t recommend her highly enough. She was a pleasure to deal with in the run-up to our big day. On the day itself, she went about capturing all of the key moments and much more besides in a friendly, professional, nonintrusive manner. Thank you, Siobhan, for everything! Martin and Catriona. Many thanks to Siobhan & Conor for the brilliant service. Siobhan was very discrete and fantastically captured some great moments of our day and thank you Conor for your professional service afterwards. The experience was great and photos wonderful. Thank you both for all the work you have done. Debra and Garreth, Irish via Toronto. Thanks to Siobhan & Conor for the amazing photographs and brilliant service. 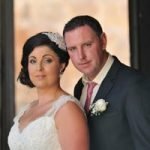 Siobhan was so friendly and easy to work with, as was Conor a pleasure to deal with when corresponding before and after the wedding. 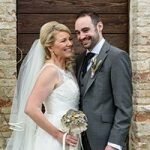 We couldn’t be happier with the photos and would recommend Siobhan to anyone getting married in Italy. Kelly and Brandon, Colorado, U.S.A.
We found Siobhan after deciding to have photos taken on our first trip to Italy – these photos ultimately became our engagement photos. We chose Siobhan because of her eye for lighting and her candid approach. Before the session, Siobhan and Conor were in regular and prompt communication regarding the booking, and Siobhan was flexible in setting up the time and meeting location. We both loved her and we felt comfortable right away!! We received half a dozen “sneak peek” photos the very next day and ended up with almost 300 photos from two hours with Siobhan. I cannot express how special these photos are to us! 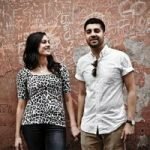 Most of our travel photos are awkward “selfies” or are of only one of us – but these – these are beautiful in every way! When we go through them, it’s like we are reliving our time in Roma. Thank you, Siobhan, for a lovely afternoon strolling through Roma, and the beautiful photos that followed! Siobhan is AMAZING! 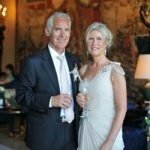 We were planning our wedding in Umbria from Chicago so we were a little nervous but Conor and Siobhan immediately put us at ease. They were responsive and easy to work with. Not being familiar with the area Siobhan made the recommendation of going to nearby Montone for pictures and they were beautiful. She’s so fun and captured so many amazing shots throughout the day. 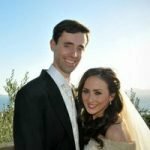 I would recommend her to anyone getting married in Italy. Thank you, Siobhan, for being such a big part of our day! 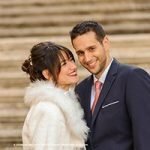 We got married in Rome back in September, and after searching on the internet for a photographer. We came upon Siobhan. After seen some of her photographs we knew straight away she was the one for us. We found her very helpful and friendly and was very happy in the way she guided us for all our photos. 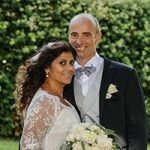 If you plan on getting married in Italy and want someone who speaks Italian, knows all the best sites and delivers great photos. Well, Siobhan should be your number one choice. Thank you, Siobhan, for our great photos. We booked Siobhan Hegarty after reviewing her work on her blog and website. We loved her candid style and knew she would capture what we were looking for. When it came to the day of our wedding, we were so happy to have her! She gave our rowdy little crew direction to get stunning shots and truly captured the essence of our easy going nature with one another, and all the love we share with our families. Siobhan was so lovely to work with and helped to keep our day calm and relaxed. We would highly recommend Siobhan to anyone looking for a professional photographer, she is an absolute joy to work with. Thank you, Siobhan! My husband and I chose to have some photos done on our European holiday. 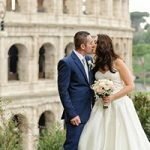 Siobhan was so much fun and easy to work with, it made us both much more relaxed and the photos, with Rome as our backdrop, came out beautiful. A great reminder of a wonderful holiday. Thanks. Thanks so much to Siobhan for capturing the perfect wedding photos. She was so easy to work with and somehow blended into the wedding taking photos at all the right moments! 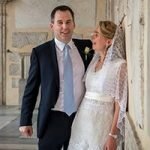 Siobhan & Conor are prompt at correspondence and I would highly recommend them to any Irish couples getting married in Italy. 1st class service, stress-free service. 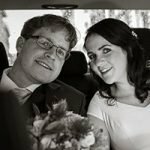 Siobhan not only captures high-quality images of key moments and finer personal details of your wedding, but her images bring you on a journey, telling you a story. I would highly recommend her as a photographer for any event. She is very professional, talented and a wonderful woman to work with. Thank you for all the work you have done Siobhan on the day and for sending us loads of images to choose from. We love them all! August 2015, Borgo di Tragliata, Rome. Caoimhe and David. Ireland & UK. Thank you for helping us to capture such a fantastic day. Siobhan was incredibly easy to work with, and everything felt very relaxed and easy. The photos from our wedding are even better than I thought they could be ? Siobhan?s eye for detail really is incredible. I would have absolutely no hesitation in recommending Siobhan as a wedding photographer, or for any other occasion for that matter. Anita and Richard. Cheltenham UK. 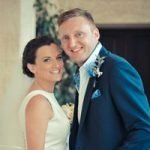 Getting married abroad was always going to have its challenges. We are so happy we found Siobhan to be our photographer for our wedding day. Made it so easy to capture all those special moments and knew the best shots and how to get the best smiles from everyone. 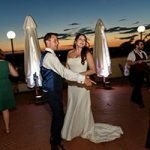 Would highly recommend to anyone getting married in Italy. 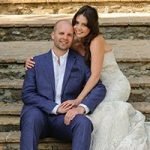 Jessica & Craig, Toronto, Canada. 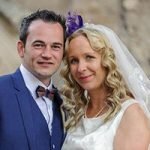 Having Siobhan with us on our wedding day was a wonderful experience and we are so glad that we made the decision to work with her. After looking at the photos on her website while planning our wedding, it really wasn’t a hard decision to make! 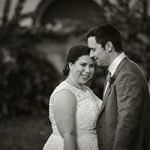 As most people might imagine though, it can be a little nerve-wracking meeting your photographer for the first time ever, on the day of your wedding; however, upon meeting her that morning, we felt an immediate sense of calm and trust. She arrived and immediately felt like an old friend, getting right to work; taking photos of us getting ready, and little details that I may have overlooked (shoes, photos of the dress, photos of the venue, photos of the guests) that we are forever grateful to have. 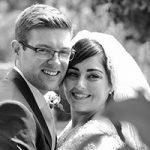 Choosing a photographer can be a daunting decision as the pictures will last a lifetime but we both are so happy to have entrusted Siobhan with the job. 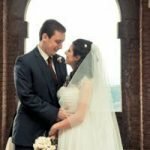 After getting engaged in May 2014 at home in Ireland, we decided to get married in Rome and one of our first thing to do was to decide on who to capture the big day for us. 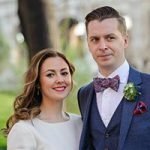 After reading other testimonials and researching online, we found shpfoto.com and were instantly blown away by the images on display, through the website. So we immediately sent a request to see if there was an availability! Siobhan in turn helped us organise an Irish Hairdresser and Florist so soon enough we had a whole team behind us. On the big day- Siobhan herself was everything we could have wanted. punctual, friendly, helpful, discreet, patient, kind and, of course, oh so professional. She seamlessly worked behind the scenes to photograph every moment! 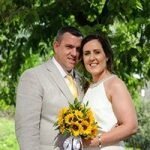 We could not have been happier with the entire service and package, from our initial to final contact and would highly recommend Siobhan and Conor to place your trust in! From start to finish we found Siobh?n and Conor fantastic to deal with. 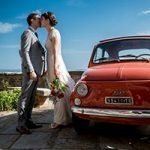 They were professional and quick to reply to emails and made life easy by organising our wedding car for us. On the day, Siobh?n was fantastic. We got married on a hot day in July and neither of us is that comfortable with the camera at the best of times so Siobh?n had her work cut out for her. She put us completely at our ease and didn’t miss a moment in the church, in spite of the fact you wouldn’t have known she was there. The little details that she picked out were beautiful and meant that we got the overview of the day that we were hoping for. Siobhan made the whole experience relaxed and fun for us and we were delighted with the finished product. Laura and James, Northern Ireland. 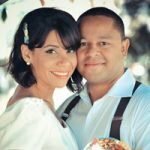 Breathtaking professional photos for our special day! We didn’t even hear Siobhan throughout the ceremony and she caught all the best moments, plus her attention to detail was sensational. 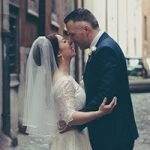 I wouldn’t change a single thing about our special day and we would highly recommend Siobhan to anyone thinking about getting married in Rome! Perfection! Many thanks to Siobhan and Conor. We were very moved the moment we saw the photos, which are gorgeous, and especially good in composition. On May 2nd, Siobhan came to the hotel to meet us on time, then we started the 4hr tour of street snaps, from Pantheon to Saint Peter’s Basilica, finally ended in Colosseum. With her camera, Siobhan recorded more than 300 romantic moments, which are beautiful and exciting to us. 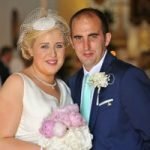 The service provided by Siobhan Hegarty Photography are considerate and professional, we are willing to recommend to our friends, and share our happiness as well as photos online. Thanks again to Siobhan Hegarty Photography, for their hard work and enthusiasm, so we can have a lifelong graphical memory of a dreamlike time in Rome forever. Rozlyn and John, Northern Ireland. Siobhan Hegarty was an absolutely wonderful photographer and managed to capture every moment of our very special day. Siobhan was not only helpful and understanding but went out of her way to make sure that she took as many wonderful pictures as she could. As a photographer, she is skilled and knows how to capture the best moments and pictures. She put us right at ease and we thoroughly enjoyed it all. 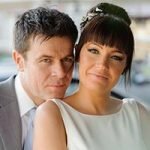 We are really very glad that we found her and would recommend her to anyone to record the special moments that make up your wedding day. We had a great experience working with Siobhan. Like all talented artists, we knew that she was considering the light and angles while taking photos, but her style was so friendly that we never felt like we were at a photo shoot. Instead, spending the time with her gave us a chance as a couple to really focus on one another and soak up the day. The experience was amazing and the photos were incredible. 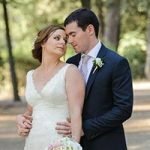 In our search for a wedding photographer in Cortona, we found Siobhan’s website. 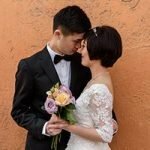 We were directly enthusiastic about her photos of the several wedding galleries, so we decided to make contact with her. 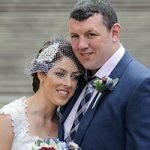 Siobhan and Conor did inform us quickly and clearly and they gave us useful information to plan our wedding day. Siobhan arrived plenty of time before departure to Cortona at our rental house and gone her way to make several pictures of the preparation of some nice details in and around the house. She made with her pictures a very nice impression of the ceremony and afterwards in the city of Cortona she took us away from the busy streets of Cortona to take special pictures with the details we like at the Italian streets. At our lunch location at the Trasimeno lake, Siobhan took also several nice pictures with the views of the lake and of our family and friends. Yesterday we received the link with the photo impressions of our special day and we are very happy with them, now we can’t wait to receive our album and USB stick. 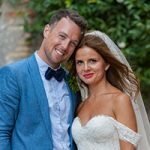 Siobhan, we would like to thank you for making the very nice pictures of our special day, you made a very good job and with your reportage, we can look back at a special day in Cortona and the surrounding area. Saluti da Olanda. Caroline & Kevin, Northern Ireland. 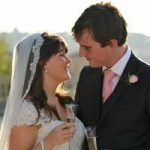 The planning for our wedding day in Rome was surprisingly straightforward with Siobhan and others offering expertise and advice on those essential wedding day items. 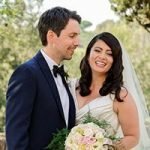 Siobhan arrived 40 minutes before the wedding to snap a few shots at the hotel before travelling with us to the ceremony and finishing off in several locations around Rome. The finished product was truly beautiful and I am so happy to have chosen Siobhan to take the photographs on our wedding day. Siobhan snapped away capturing both candid and group shots with family and friends. Thank you, Siobhan, for your professional service and beautiful photographs. I would highly recommend Siobhan Hegarty Photography to others. 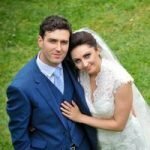 We had booked our wedding ceremony in Rome for 12 Dec 2014 and since we were coming from Turkey we had agreed to book Siobhan based on all positive feedback we could found on the web forums. Siobhan had approached our questions and expectations with great care even since initial conversations and on the planning. It was all planned and scheduled before our arrival in Italy. She arrived at our hotel just on time with the driver we had kindly asked (Tony). He was a very professional guy and real Italian gentlemen as well. Siobhan started taking some photos on the hotel as we had planned and then spend a couple of hours on the perfect spots of ancient Rome which ended up on the Turkish Embassy for the ceremony. 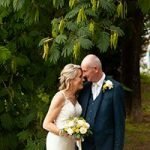 Although we had never had a professional photographer experience so far, Siobhan did her job perfectly well so we were really quite comfortable during the shoots and never got nervous or excited any time which made us enjoy this magical day and ended up with those great and natural photos from all over the place. I think that’s all it matters. We are also very happy with the “after-service” experience that we have accessed the photos from a lovely website also just in a couple of days time and shared this with our families and friends very easily so everyone could see all the pictures. Also, we have received the original photos in a very nice USB afterwards to take print-outs. I would like to thank with this great and professional service as well. 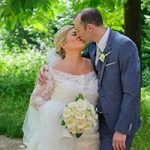 I am more than comfortable on suggesting Siobhan and SHPFoto for any special events in Italy if you’re seeking for a warm, friendly photographer and a real professional. 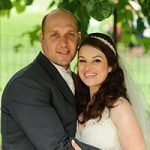 We are so glad that we chose Siobhan as our wedding photographer. Despite being in another country we found the whole booking and planning process very easy and the pricing was very reasonable. On the day itself, Siobhan worked so hard under a lot of pressure and within a tight schedule to ensure that we got the perfect shots of our special day. She was discreet during the ceremony and even managed to make my camera shy husband relax for the photos afterwards, although I think the prosecco helped too! When the photos arrived we were so happy with them and we have had countless complimentary comments from friends and family about them too. They are stunning and we will treasure them forever. Thank you, Siobhan! The work is professional and 5-star quality. You will be at ease and enjoy your time being photographed. We thoroughly enjoyed our time with Siobhan and loved the quality of the prints by Conor. This team made our wedding memories for us and we love every photograph. We both highly recommend this duo. 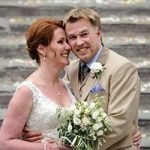 We travelled from Norway to Rome to have a small romantic wedding at the Norwegian embassy. There was a lot of arrangements to be made and a lot of factors that could have gone wrong. 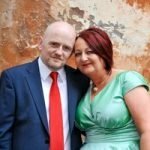 I am so happy that we managed to arrange for Siobhan to be our photographer for our special day! We had a good dialogue on mail prior to the big day and she delivered with excellence! We just love our pictures! Siobhan instructed our Italian driver where to go and at the photo locations she took control and made sure that we got some really great photos. Thank you so much Siobhan for all your help. It was a privilege to have Siobhan photograph our wedding. Siobhan is so professional. She was a photographer and wedding planner on the day and it’s hard to believe she had time to take such incredible photographs. We will treasure them for the rest of our lives. Anyone who gets Siobhan as their wedding photographer is very lucky. Since deciding on booking Siobhan Hegarty as our photographer, we have never looked back. 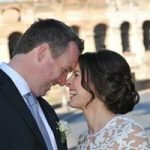 Siobhan was most helpful to us in every way in the lead up to our wedding in Rome. She always responded promptly to our inquiries and we felt she was always on hand giving every assistance to us. Our meeting with Siobhan on the big day was very relaxed and positive which was perfect for us. She captured all of the important moments on camera during our ceremony. She has a great eye and made the most of the evening sun to our advantage, capturing all the delightful sites in Rome. Both we and our families are extremely happy with her professionalism and beautiful photographs we now have, to remind us of our special day. We would have no hesitation in recommending Siobhan to any happy couple. Just getting around to it now but we wanted to thank Siobhan so much for the amazing job she done on Our special day! We could not recommend her enough, she knew exactly what we wanted and we did not have to think or worry about getting shots as Siobhan had already thought of everything. When we received our photos we were blown away and even when we were having a canvas print done up they commented what amazing quality the photos were. May 2014, Borgo di Tragliata Rome. I cannot thank Siobhan enough for the beautiful pictures she captured for my surprise proposal/engagement. Siobhan and I planned in advance and the proposal was orchestrated perfectly – much to Jessica’s surprise. All of our communication was clear and understandable. Siobhan ensured me everything would work out and kept in continuous contact throughout the months leading up to our Italy trip to take the time to entertain all questions, suggestions and comments. She even proposed some of her own ideas and sent me sample pictures for alternative ideas. Siobhan seemed genuinely happy and excited to take our pictures and made us feel very comfortable. Our families and we are extremely thankful for the pictures and we would recommend Siobhan to anyone looking to book a photographer in Rome. 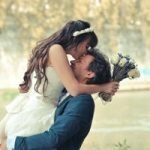 Merci beaucoup pour les photos -elles sont merveilleuses…magnifiques…quand je les regarde je me sens comme une princesse dans une conte de f?e,et ?a c’est gr?ce a vous! Les enfants se sont bien amus?s et nous aussi,d’ailleurs!!! 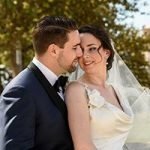 Je pourrai dire – les meilleurs photos que nous avons,un vrai travail de pro!!! Merci encore une fois! Bisous!!! Just wanted to say thank you again for the amazing photos, we can’t stop watching them! Received the photos yesterday and since then it’s all we do? ?It was our 15 years wedding anniversary and we wanted to do this year something different and memorable for us and for the kids, and it truly was! We will cherish those moments forever and that’s because of you!!! Thanks again, Siobhan!!! 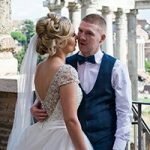 We would like to thank Siobhan for the amazing photos she captured of our wedding in Rome, the photos captured everything about our special day and are something that we and our families will treasure forever. 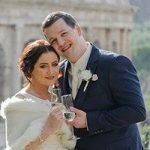 Siobhan was very professional and made us feel at ease, we had contacted her a few months before our wedding in Rome and we knew she would do a good job as she was in constant contact with us and helped make our wedding day a relaxed, stress free, special day. We can’t thank you enough for capturing our special day – we were delighted with the photos. Siobhan was amazing to work with and has such a unique gift of being able to able capture the story of your day with a range of amazing photos. She was so easy to work with both before and on the day. Thanks for making our day even more special and giving us a set of photos that we will treasure forever! Siobhan captured our wedding day in Rome so beautifully. We couldn’t be happier with how the photos turned out. All the photos are amazing and Siobhan managed to sum up the day beautifully for us. From the moment we got in contact with Siobhan we knew we were in safe hands and she was always quick to respond to any questions we had. Also another special thank you to Conor who was fantastic and just couldn’t do enough for us, and helped us in giving restaurant recommendations and other supplier recommendations and was again quick to respond to all emails and there were lots of them trust me!! We really couldn’t recommend Siobhan highly enough and we were so lucky to have found her. We will treasure our photos forever and we will be recommending you to all of our friends. We loved the pics. They are great!!! It was a very good time in Rome with Siobhan. We would like to thank her so much for capturing us so beautifully and naturally. We recommend Siobhan excellent work and Louise hair and make up too. Kisses! Vi giftet oss i Roma 18/7-14. Det var helt fantastisk. Vi ble viet i et lite kapell s?r for sentrum. 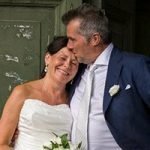 Her m?tte vi fotografen som tok bilder utenfor og innenfor kapellet, b?de f?r og etter vielsen. Etterp? ble hun med i bilen og fortalte sj?f?ren hvor han skulle kj?re oss. Vi var utenfor Collosseum og Piazza da Nevona. Her var masse turister, men bildene ble helt utrolig flotte. Hun fortalte oss hvor vi skulle st?, g? eller hva vi skulle gj?re. T?lmodig og lett ? samarbeide med. Etter to timer var vi ferdige, trodde vi! Men hun ville gjerne fortsette p? hotellet v?rt, ivrig som hun var i tjenesten. Hun ble med oss til hotellet og knipset i enda en time, like blid, forn?yd og t?lmodig! Fantastisk fotograf som vi er veldig godt forn?yd med. We are very satisfied with the photographer and all the wonderful pictures she took. 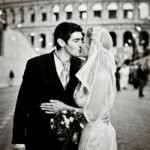 Getting married in Rome is just fantastic. After the wedding in a little romantic chapel south of the centre of Rome, we drove to some of the famous sights like Colosseum and Piazza Navona. Siobhan told us what to do and where to stay. She was very eager in duty and a fantastic person. After two hours our session was ended, we thought, but Siobhan would like to take some pictures at our hotel, so we didn’t mind. She drove with us to the hotel and another hour with the shooting was going on. We are extremely satisfied with her hospitality and the good pictures she took of us. Thank you so much!! Hi Siobhan, thank you for the fantastic job, we absolutely love the outcome of the photos! Thank you for always being there when we had queries before flying into Rome, communicating with you is really a breeze. We enjoyed the photo-shoot as you brought us to places we never would have ventured to otherwise. You managed to capture the light really well, and the effect of the photos was absolutely what we wanted. Our family and friends think the photos are beautiful too. Guess all the perspiration on that hot summer day was absolutely worth it!? ?Hope you are doing great and thanks for everything!! 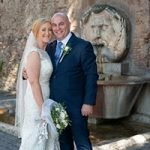 We would like to say a great big thank you to Siobhan for capturing our Rome wedding so beautifully. When we received our photographs we were delighted with them. Unfortunately, on the day of our wedding, most of the main attractions in Rome were covered with scaffolding, but Siobhan reassured us that we could get some great pictures anyway, and she was right. Walking around the streets of Rome with Siobhan was great fun. She was extremely relaxed and knew exactly which places would make the best backdrops. Conor was also extremely helpful as the email contact, making the whole experience stress-free. The price of photography was very reasonable and we are extremely happy with the results. Thank you again! Having just received our photographs from our beautiful wedding in Umbria all we can say is WOW! They are truly stunning and it’s all down to Siobhan’s amazing talent as a photographer. 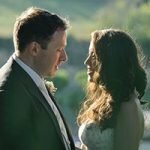 The pictures that were taken are unique and different not the same style you see taken at other weddings. She captures the true beauty in everything she photographs. The colours from the beautiful scenery in the background almost look fake they are that breathtaking. Aside from her amazing talent, Siobhan herself is pleasant, friendly and accommodating. She does her job with professionalism but allows her Irish warmth to shine through. I feel I have to mention Conor also as he was my email contact and the go-to person from the beginning. He is also responsible for getting the photographs up and ready for viewing. Nothing was too much bother for him and at this busy time, he managed to get our photographs up for us in record time. 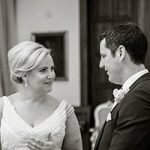 We could not recommend Siobhan Hegarty Photography enough, five-star rating all the way. Siobhan is definitely someone who will be remembered for years ahead, she made our (extremely hot) shooting day so amazing, from the moment we met at the hotel, (with all the excitement altogether with Louise Faulkner) till the early evening. It was easy to smile, to relax during the shooting, to enjoy that afternoon that has marked us so much. 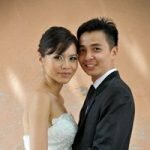 My biggest worry was to make the groom look natural, and smile, and the result is beyond our expectations, each time we see the pictures we still can?t believe they?re from us. Thank you soo much once again, and thanks to Conor for all the attention, the prompt and kind responses. I have already indicated to all of my friends that intend to get married in Italy to have you as the photographer. Kisses from a very sunny Rio! Arianna & Mathew, Italy and UK. Grazie Siobhan per il tuo entusiasmo e per le bellissime foto. Hai colto tanti dettagli nella loro freschezza. Dai colori all?architettura, tutto rende al meglio, e nelle foto di Fontana di Trevi io e Matthew sembriamo due celebrit?. Semplicemente indimenticabile! Jennifer & Jefferson Campbell. Minnesota, USA. Siobhan captured our Italian wedding day so beautifully. 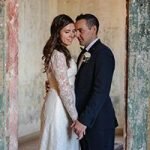 She arrived at the B&B right on schedule and captured lovely images of the surroundings and goings on from getting ready to the ceremony and wandering through Cortona. We left the photo shoot up to her discretion and she discovered some perfect locations to act as our backdrop. Her bubbly personality and kindness made the 2 hours of pictures go by very quickly. Everyone at our reception back home commented on how beautiful our pictures were. The ?wee bit? of time we spent together resulted in some great images to remember our wonderful day. Thank you, Siobhan! We would both highly recommend Siobhan Hegarty Photography ? she was so accommodating and during the mass she got so many beautiful photos but was so discreet ? I never even noticed her taking the pics. It was so exciting to get the photos and see all the moments that we missed during the preparations. We gave Siobhan a pretty long list and she worked so hard to get us the pictures we wanted. 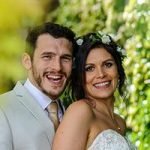 The pictures were truly beautiful and really captured our Wedding Day perfectly, she was such a pleasure to deal with and all this for a very reasonable price. Thanks again. Siobhan was absolutely fantastic as our wedding photographer. We could not recommend her highly enough, we loved her style and our guests are raving at the results. She captured every moment beautifully. Her local knowledge was invaluable in the locations she chose. Kind Regards. Hi Siobhan, I wonder if you remember me? Mairead ‘Tracey’- from Derry. It was a damp, wet Tuesday morning, May 7th 2013 in central Rome and you did the honours of reassuring me that the sun would come out? I never got the chance to get in touch and say thank you for capturing the essence of the day. Marc and I were more than delighted with the photos, the online gallery was just beautiful. 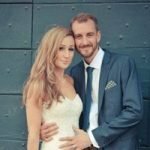 So many family and friends still talk about the shots and rest assured, if any of them get married abroad they will be in touch with yourself. Feel free if you ever would like to use the images for any purpose. The shots inside the Grand Orsetto apartments (balloons along the rail, vintage wallpaper with the wedding dress hanging in the front, an endless list of favourites!) were just gorgeous. Thanks so much for your contribution. All the very best. Hi Siobhan & Conor, I absolutely love the photos. Thank you, to you and Siobhan so much. I’ll be getting in touch with Wedding Ideas magazine with your photos. Many thanks. Hi Siobhan! Greetings from Costa Rica! We wanted to thank you for your beautiful work! We can’t stop watching our photographs which are really amazing! Reminding us in a perfect way the happiest day of our lives! Thanks for everything and we can’t wait to see the rest!